Word work is an important part of an early literacy program. Word work is any time when children work with words- spelling, phonics, writing, or vocabulary activities. The goal of word work is to learn how words work. Word work is a short period of the literacy instruction time. It should be transfered to the reading and writing component of the lesson. Word work allows children to work to understand patterns in words. It allows children to progress on their own level. Word work can be achieved in many different ways from paper and pencil activities to hands on centers. I often share posts about word work activities that I use with my kids or that I used in my experience as a reading specialist and reading recovery teacher. I'll be linking all of the posts here in this post for future reference. 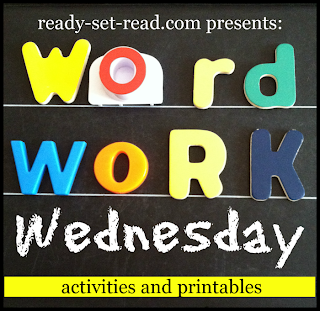 You can always access this post by visiting the Word Work Activities button on the sidebar of ready-set-read. 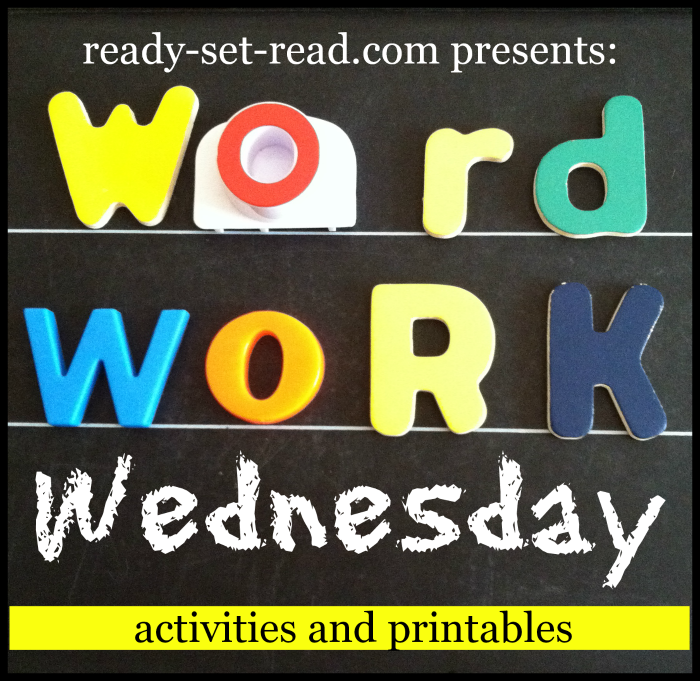 I'll also share new activities every Wednesday on Word Work Wednesday. I'll add those to this database to help you find the resources you need.